Check out our Discord! | Support the developer! It's basically just IronChests without the fluff, and more direct mod support. I still have to wonder, what do you got against crystal chests? I liked them out of a lot other chests and also wish they were dyable. Just my opinion. Also did you ever figure out about boats + chests? I don't have anything against them really. 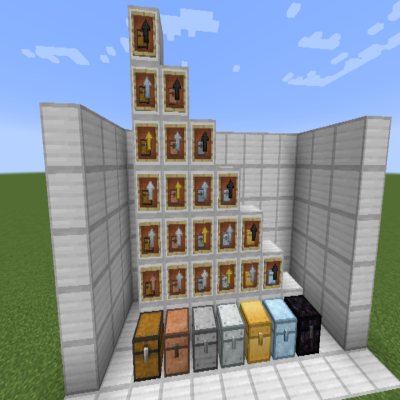 My plan is to create an upgrade that will make any variant see-through, but still have its border as to distinguish each chest. So in other words, instead of one crystal chest, all of the chests have the ability to be a "crystal" chest. The blue outline would be replaced w/ that of the base chest's model. The ability to dye the chests may be lacking, but maybe something can be made up to change the color of a chest based on its inventory contents at some point. As for the boats, it can be done, but each would have to be able to handle two metal chest inventories. Haven't looked into it just yet but I'll make a point of it eventually. Quick with replies, nice with knowledge and updates. You aren't a curseforge modder, are you? And are you super busy? If I had a req for a mod and I had the psuedo code for it, and some money would you be able to make it? Anyway, thank you and I look forward to the crystal chest upgrades. I've always wanted them in mine-carts for some reason. Well, if you're being sarcastic, then I'm not a cf modder. Otherwise, I'm most certainly not a cf moderator. For mod requests you may discuss them on my Discord server (link above). 1st: You need to edit your discord. Joined and been longer than ten minutes and still says I need to be a member for ten minutes. 2nd: yeah was sarcasm, because a lot of curseforge modders here don't usually respond to us often. Hi! I'm having some problems with the Thaumcraft compatibility: I do not have any copper / silver resources in my mod pack but in the thaumonomicon page I can see that there's some crafting recipes for that upgrades even when there's no output. Can you help me? If this problem is persisting, please create an issue on the GitHub project to help me organize everything. Thanks! when searching for chest upg i can't find it when using NEI or JEI! They aren't in item list of NEI or JEI. 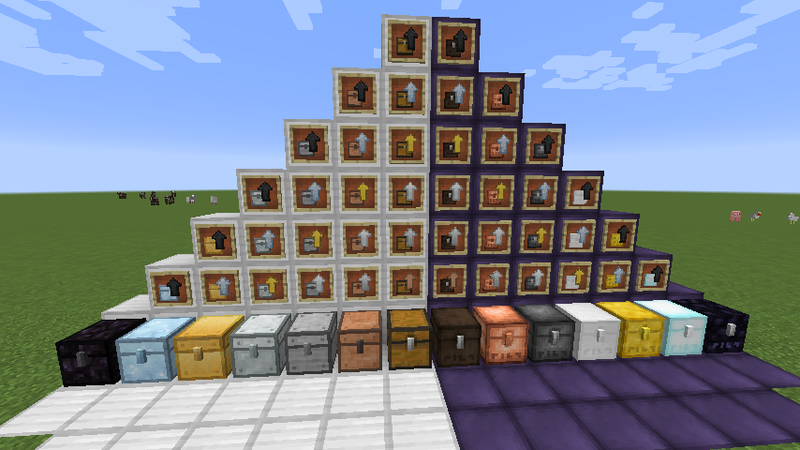 I can only find if i use JEI/NEI for item recipe that require copper or iron. If you can't find that item, then that means the material isn't registered. If you could post a screenshot of what you mean specifically, I can address it if it's an actual problem. But the upgrades and chests will not appear now if the material is not registered to the ore dictionary. btw how? I have it as screenshot but i can't add it here because CurseForge can't do that. Do you have github or something where it is possible to throw a screenshot? Check the "Source" tab at the top of this page. The only problem w/ that idea is that I'd have to handle vanilla chests as well. Boats can hold two blocks in them, so when a vanilla chest is added a full double chest would have to be rendered. Feel free to put the feature request on GH though, and I may take a look at it. The idea definitely intrigues me.